Over 90% of consumers research what they need on the Internet prior to getting in touch with a company. As such, reputation management is essential for all small businesses. Companies are encouraged to get in touch with customers directly and ask them for a review. Organizations can send customers a direct link to the review form, simplifying the process. Once finishing a job at Phoenix SEO Lab, we email a basic message to our clients thanking them and requesting a review for our Google My Business listing. When asking for a review, we email a direct link to the form, allowing customers to leave a review without any navigational work needed on their end. 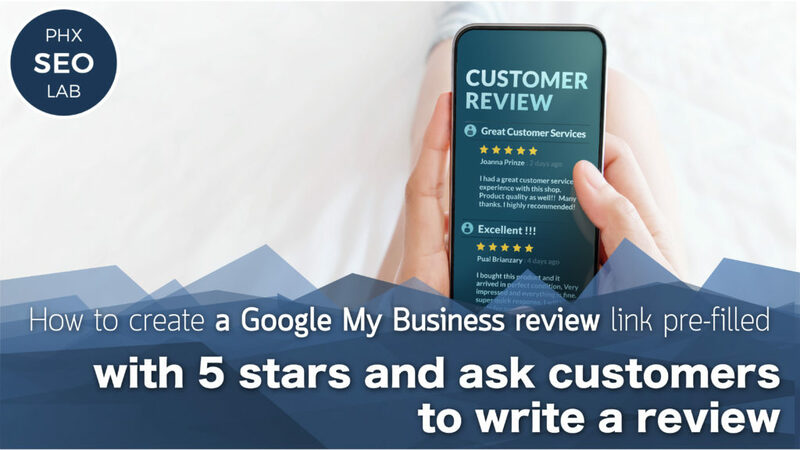 Customers click on a link sends them a company’s Google My Business review form, allowing them to add a few words about their experience with us. This direct link removes the hassle of abandoning the review out of frustration or impatience. We concentrate on Google My Business reviews since Google is dominant on the Internet. Reviews on other websites are fine, but Google is what most people use to search for things online. Plus, Google My Business listings tend to accompany an organization’s placement on search engine results. The listings on Google add some juice to a company’s placement on result pages. Over 80% of all online queries are conducted on Google. If a customer performs a search for your company online, the average rating of your Google My Business reviews is displayed on the results page. A link to read all the reviews is placed beside the listing. Is it important to have reviews on Google My Business? Online reviews are vital for a company’s online presence, especially ones on Google My Business. They are trusted by 84% of people as much as a referral by family or friends. Studies indicate that 5 reviews are the number to strive for on Google My Business. After your company gets 5 reviews, it will probably begin seeing traffic from search results naturally, and be seen in the local listings in search engine results. A user needs a Google account to leave a testimonial. When an account is connected to a review on the Internet, it’s more probable to be legitimate feedback from an actual individual, not a fabricated review produced by the company owner to enhance their business. If a customer chooses to keep their name private, don’t waste time repeating the same request. Instead, ask customers to leave testimonials on your company’s Facebook page, or send you a review that can be added to your site. The link to this review will be functional on any device. You’ll require a mobile phone to create a pre-filled 5 star Google review link, though. Google is regularly updating all facets of their services and products. Creating a universal link to the review box on Google My Business has been modified several times over the last couple of years. In fact, it used to be named “Google+” and “Google Places”. Linking directly to a Google My Business pre-filled 5-star review box takes some work, but the effort is justified. 1. Verify your address after creating a Google My Business page for your company. 2. Open Google Chrome on a mobile phone and use the incognito mode feature. On a new tab, create a direct review link. Your account won’t be accessed when you send out a URL to recipients through incognito mode. 3. Visit Google and find your company’s listing on Google My Business. A Knowledge Graph will appear containing your company details. 4. Locate the section named “Review and Rate”. On the far right, tap the 5th star, which will be the automatic rating carried into the URL you send customers and clients. 5. Visit the “Leave a Review” page and select the address in the URL bar. Copy it, then paste the link into an email! This universal link will function on mobile or desktop platforms. Try it out by sending an email to yourself. Be mindful that Google has altered the way their local business listings operate several times. Based on where you are situated or when your listing on Google My Business was created, this process might be outdated. If this approach proves unsuccessful, contact me for assistance. I’m regularly conducting tests to enhance this approach. Keep yourself in the loop by signing up for updates via our newsletter. It’s more prudent to condense a long link using Google’s URL shortener. Since they’re produced by Google, the link provides brand recognition and trust for your reviewers. 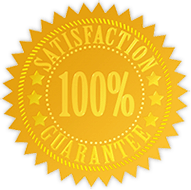 Create a page on your site and name it something relevant and easy, perhaps “Review”, so your review page has this URL: https://www.companyname.com/review – which will bring the reviewer to the original long-winded URL. You can also make a redirection by adding some code to your web host’s .htaccess file, which can be found in your website’s root. Generally, it can be accessed through an FTP or your host’s control panel. If you are using WordPress as a CMS, the redirection can be created with a redirection plugin. Once the above work has been completed, and you have a satisfied customer in your hands, it’s time to ask them for some feedback. Keep your message brief and to the point. The customer or client has what they want and are content. They’ve paid for your product or service, and aren’t obligated to give you anything else. Therefore, how you ask for a review is important. We were delighted to work with you on this project. Would you consider leaving us an honest, short review on our Google My Business listing? Get in touch with us by sending us an email or giving us a call. Let’s discuss giving your company a stronger online presence. As alluded to earlier, to leave a review of your company on Google My Business, your customer or client needs a Google account to log into. Google’s objective is to be as precise as they can. 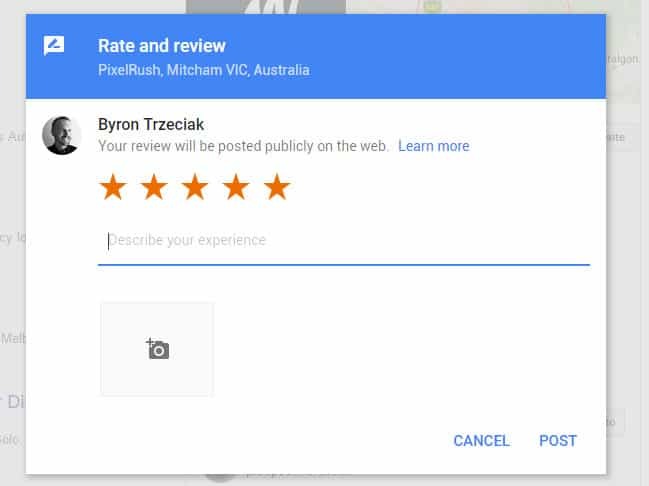 Anonymous reviews discourage honesty and abuse the review system of Google My Business. If they don’t have a Google account and won’t sign up for one, perhaps they have a Facebook account and are willing to leave one on that social network instead. 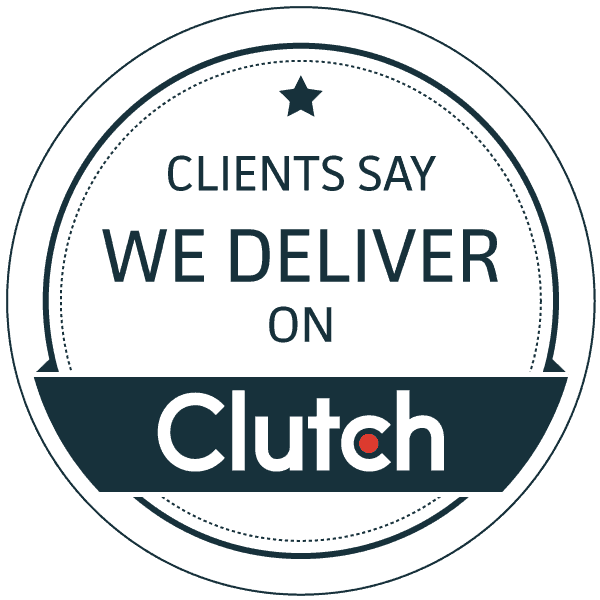 If neither of those options is feasible, consider asking them for a testimonial you can feature on your website. Many of our clients ask us for SEO (search engine optimization) services for their current or new sites. We ask everyone who hires us if they have a Google account, whether it be on YouTube, Android, Calendar, Gmail, Google My Business, Drive, Search Console, Analytics, Google+, Voice, AdWords, AdSense, Blogger, etc. Sometimes clients aren’t mindful that such websites exist or that they’re associated with Google. As long as they can access one of the above sites, though, they are capable of leaving a review for you on Google My Business. 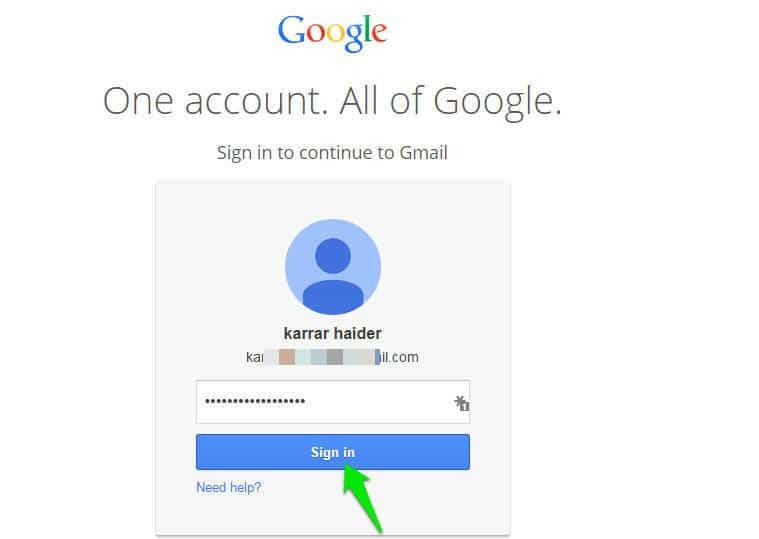 We sometimes walk clients through the process of creating a Google account if they lack one. We regularly incorporate Google Search Console and Google Analytics into the website of a client. We also create a listing for companies on Google My Business. The most popular free email service on the Internet is Gmail. Over half of mobile devices in America use Android, and YouTube is the 3rd most frequently visited site online. As such, it’s a safe bet that your clients or customers already have a Google account. Once you understand how to get more reviews on Google My Business, all you have to do is be proactive. Rather than wishing customers would be kind enough to say a few words about your company, begin requesting testimonials and simplify the process for them. Have you had success with obtaining reviews on Google My Business? Tell us about your story in the comments below! Fortnite Battle Royale- Free V-Bucks Generator 2018.